Developing, and executing an effective pricing strategy has a more immediate impact on profitability than increases in volume, which take much more time, energy and patience. As CEO, your leadership role in pricing is paramount. For searchers, it is critical to evaluate pricing opportunities and/or risks during the business due diligence or shortly after purchase. It is very easy to diminish the value of the seller’s personal engagement in the pricing process. More than one PE firm has discovered that the high margins maintained by a business were more attributable to the business owner themselves than the fundamentals of the business. You have to carefully assess your own ability to step in and replicate the level of pricing engagement. The good news is that most business owners often fail to attain maximum value for their products and services. It is your challenge not to fall into that trap as you take over the reins of the business. “Cost based pricing” establishes prices based on costs of purchases, manufacturing labor and overhead, with markup added to attain profit targets. For most businesses, the direct costs are easy to calculate, less so for businesses such as software, pharmaceuticals and services. And for virtually all businesses, allocating overhead, sales, development, financing and ROI costs are challenging to accurately establish in a costing system. “Value pricing” to some extent ignores the cost and instead sets prices based on your customer’s “willingness to pay”, a much harder, but critical challenge in optimizing profitability in a business. Airlines, car rentals and hotels have done a great job in dynamically setting “value prices” based on factors such as time, occupancy levels, days of the week, length of time and special charges, all according to when you “book” a reservation. My sons, who are jugglers, relied on letting their customers express the “value” of their performances by how much the crowd put into their “collection hat”, letting the audience decide if it was worth the cost of a newspaper, a cup of Starbucks or a meal at Bertucci’s. The aluminum extrusion business that I purchased had clearly identified “costs” for labor and materials but we had to avoid simply “marking” up the costs when setting our customer prices. I took a hands-on role in evaluating our “value prices”. It was important not to leave too much price on the “table” and miss opportunities for profits, while at the same time testing our “value” to our customer. In many instances the salesforce would say: “Jim, we could lose this customer”; yet oftentimes, this did not come to pass. I did not get it right every time and did lose some customers along the way, but overall margins improved significantly, and we got better as an organization at setting, and defending, the “right” prices. When customers are asking for a “special service”, a careful assessment of their “willingness to pay” should be made. If a buyer requests expedited delivery, the amount of time you can improve from a standard delivery time may be worth quite a bit to them. Avoid “standard” markups for this, but instead understand their needs on a case-by-case basis. Calculate multiple up-charges based on time, and let the customer gain some control by choosing. after hearing your explanation about the cost in disrupting the schedule, overtime costs, vendor premiums and/or expedited fright. You don’t want the customer to feel “punished”, but instead that your organization is responding with effort that needs to be compensated for. Be sure to ask whether the “expediting fee” should be on a separate line as you may not want the variability in your unit prices to fluctuate and in many instances customers may track this as a separate expense and the buyer’s metrics don’t extend beyond unit price. Your process systems have to support these requests, but when they are accompanied by much higher margins, it is much better for your bottom line. This may apply to a variety of special packaging, documentation, tracking or customization; all opportunities to extract improved margins for “value”. Tip your hat to Uber for educating customers about “surge pricing”. Not all customers are equal, and for many “price” is not up-most in their minds. Quality, delivery, or service are more important to many customers. 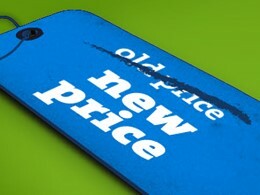 For “customized” products or services, each quote represents a new opportunity to set price. Clients understand that specific services such as expedited delivery, tooling, fixtures, first-time setups and special packaging will be less price sensitive. There is another class of customers that is very price focused and always want a “deal”. It is important to set the “anchoring” price higher, to allow for some “negotiating room” to keep the customer satisfied. Establishing pricing “policies” for each category of customer will improve margins, but does not work well with published or suggested pricing, or anywhere price visibility is high. There are always those customers who are “savvy buyers”, trading you off against 2 or 3 other “competitors” resulting in reduced margins. This “low margin” business may be difficult to walk away from and requires leadership from a CEO to drive a high-margin philosophy. Understanding where your products or services are used is important in setting pricing. If the product represents a relatively high element of the customer’s cost, it will get much more pricing pressure than if it is very small element, like a spice or flavor might be for a food producer. If it is a very “visible” element of a customer’s product, they will often pay more for quality and consistency. If there is sporadic, but urgent need for the product, as is the case for many “spare parts” or “legacy components”, there is almost always an opportunity to obtain higher pricing. Some buyers become fixated on where pricing will be 2-5 years out when volumes are very high. For these buyers interim, lower-volume pricing is less important and they are typically willing to pay more for the developmental and prototyping stages. More often than not, the future volume projections are never obtained. One searcher taught their customer service organization to use the opportunity to raise prices whenever a customer asked, “What is the current pricing for this?” They were psychologically ready for some kind of increase and were given it! Every business owner worries about competition. I argue that you should be targeting your “pricing for value” strategy to attain a 10-15% premium over a competitive offering. Depending on the industry and level of commoditization of the product/service, customers will often be “willing to pay” extra. Even if you lose a few of them, the pricing differential on the remaining customers can make a huge difference to your bottom line. Joathan Brynes, in his book, “Islands of Profit in a Sea of Red Ink“, discovered that for mature businesses, 40% of revenues are unprofitable and 20-30% of revenues cover the losses. The key is to develop a deep understanding the profitability of each customer and to drill down even further to each product or service you sell. You don’t need an expensive or fancy ABC (Activity Based Costing) costing system and only need to focus on the top 20% of your customers which will probably account for 80-90% of your revenues. Cost accounting systems may be a good starting point for this exercise, but you want to “tailor” the outcome to add or subtract additional “costs” based on your own experiences. Typically, many costs are simply “allocated” to products or customers in some general way. Instead, for each product or customer you want to re-allocate these costs based on actual practices and efforts. Every business knows the customers and products that “take extra effort” or “special attention” on a regular basis. The accounting system generally does not capture this level of granularity. Oftentimes, this exercise reveals higher real costs to serve new customers who start off with lower volumes and gradually build up their consumption. Most customers understand this and won’t fight a pricing system that has steeper costs for low volumes, and will be accepting of set-up charges, small order premiums, and higher prices unit for initial orders. There are some “products” on the market that develop a set of attributes for your customers and analytically develop a pricing model based on this. The Price Cube by SPA or the Price Optimizer by epaCUBE are available to do this externally, and generally come with implementation challenges and organizational resistance early on. But the effort can payoff over time, with several additional points of margin. Andrew Mondi of Lyndhurst uses a software tool at American Color specifically geared toward printing businesses called Cyrious. After finding anomalies, spend time digging into the history of how prices were set in the past. Often, there is a “story” behind both very good and very poor pricing for products or customers. This understanding can help set up the “narrative” around what explanation you will need to give to customers to justify correcting them. Don’t touch the outrageously high margins that you see, but again try to understand how they came about and why customers have been willing to pay more; it will help tremendously in testing your own feelings about WTP (Willingness to Pay). Products that are under the customer’s radar, with lower price visibility are strong candidates for price increases. Once this is completed, you can begin the task of “firing” your unprofitable customers as your growth from more profitable begins to happen. First off, develop a target price that you would have to achieve to keep them, increase it slightly for negotiating room, and let them know what the new price is. Don’t allow them to order “one more time” at the lower pricing, it will defeat your argument. Let them know the truth that you cannot continue to sell unprofitable business. Do this face to face with the customer, after all, you are the owner. In my own business, I personally “set” pricing on all new accounts and developed pricing spreadsheets that allowed for a lot of flexibility in setting higher prices. I would set the bar a little higher on each new prospect to see where the “pain threshold” was. Your own leadership in the area of pricing is crucial to obtaining success. Finding managers or hired guns who feel entrepreneurial passion about maximizing profits and not volume is very difficult, they often end up as entrepreneurs themselves. You need to “take the blame” on your shoulders for losing customers on price and lift your foot off the “gas” pressing for volume. Direct engagement with customers, with your “sales hat on” (See my blog post Wearing the sales hat) has a huge impact. Bring along the photos of your children who depend on your business to survive. Point to the fact that you are personally engaged and can commit the resources of your company. Let them know that you personally are committed to them. Your staff, perhaps with the exception of the CFO, will not be the ones pushing you to raise prices. Developing the personal discipline to regularly assess pricing, targeting twice a year, and resisting the urge to “put it off” is one of the critical skills of a CEO. It takes a relentless drive to ask regularly ask yourself, “is it time to raise prices again”? As I began to step away from the day-to-day pricing decisions in my own business and brought in a professional management team to scale up the business, margins began to erode. There became much more of a focus on volume for volume’s sake and responding to sales requests for the “best price”, meaning the “lowest” price. Margins dropped five percentage points over 3-5 years. I found it very difficult to pass along a “gut” sense of what prices should be as a business scaled in size. Pay close attention to those who are on the “front lines” with customers and are dealing with pricing issues. Oftentimes, they fall into the trap of trying to “help customers” and are uncomfortable asking for higher pricing and you don’t want to be hearing them say “let me see what I can do to get you a lower price” as opposed to promoting added services. In many instances just having a script to work from when facing price resistance works very effectively. For the CEO of an SMB, one of the quickest way to impact profitability is with price and not increased volume. Maintaining a value pricing policy has a lot of forces resisting it and requires consistent leadership from the top of the organization. However it is a lot more fun running a profitable business where customers are willing to pay for value, than a commodity business with always competing on price! Searchers never have enough time during due diligence to uncover all the pricing opportunities, but it should be one of the first analytical tasks after the closing. Developing the sense of what buyers are willing to pay across your range of customers, products and services is difficult to delegate and critical to establishing a deep understanding of the business model as it develops over time, profitably. Jim, this rings especially true of my experience at Parker Hannifin. When Parker went from “cost-plus” pricing to “value-based” pricing, their return on invested capital soared from 7% to 21%. Interestingly enough, they managed pricing by created a targeted loss rate. They set a minimum goal to lose a certain percentage of quoted work, using that as a proxy for market sensitivity to their price. Lia, Thanks for jumping on this post. In my experience big companies do a better job at developing systems and having the mentality of pricing for “value”. The businesses that searchers purchase see owners who have neglected this opportunity and are ripe for margin improvements once the searcher takes over. However, there are a few owners that do a great job at keeping their prices up and searchers need to be wary that they can replicate it.